The big one of the entire week, the Cheltenham Gold Cup takes centre stage on Friday afternoon and it is always a race the whole racing world looks forward to. Here we will see the best of the best when it comes to staying chasers, all battling it out to be crowned the Gold Cup Winner 2018. It is a huge race, with many top class horses running and this year it looks to be one of the best renewals we have seen in a long time, with so many storylines. 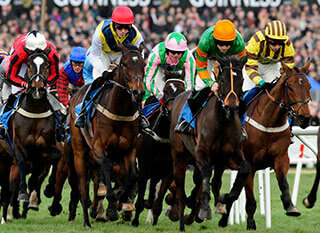 Let's check our tips for Cheltenham Gold Cup 2018. The Gold Cup is a true test, and many horses have tried and failed in the past, this race definitely separates the men from the boys. If a horse has any weakness at all, whether it be stamina, jumping or just handling the big occasion then the Gold Cup will find that horse out. We have seen some great winners in the past and if the potential field all turn up this season, we are sure to see a great winner in 2018. Betting on the Gold Cup is quite easy in terms of what horses will be running in the race, barring injuries, that is almost set now. However, these horses will take each other on throughout the season, so you may see your horse spring to the front of the market if they beat their rivals in a prep race. Let's see some of the best Cheltenham Gold Cup 2018 runners. This is a race that everyone looks forward to, either from a betting point of view, or simply to watch the race and enjoy seeing top class animals in action. Or simply because last year's Gold Cup prize money was $1.7 million. The cream of the crop all rise and appear in the Gold Cup, and whoever is crowned the champion will have beaten some hugely impressive animals to win the race. Picking out a horse at this stage will give you something to watch for the entire season, and if you pick the right one then their odds for the race will drop throughout the season. That's why Gold Cup betting tips are so sought after. Might Bite is the best bet for us right now, he is an exciting novice and it is going to be fantastic following his progress not just this year, but over the next few seasons. He thrilled us last season, winning the RSA Chase in dramatic style, nearly throwing the race away at the last fence, however, he came good and battled up the hill to win. Elsewhere, he won many other big races and he is a hugely exciting prospect for a number of years, not just this season. The second horse that we are looking to back is Native River, who ran in the race last season but came third. 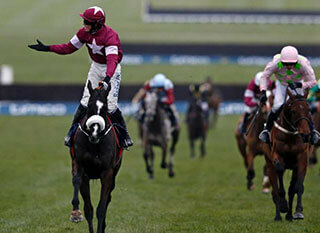 He ran in the race after having a wonderful season, winning three big races before he took part in the Gold Cup. The key to him this season is that he will be aimed specifically at the Gold Cup, so won’t have the same hard season that he did last year. That will make him a fresh horse when the race comes, giving him a better chance of winning the race. we really think this is the year he has a chance to win the race, everything will be aimed at it and we expect to see him arrive in top form raring to go, something we don’t think he was last season. If there is one horse capable of dominating the Gold Cup for a number of years then it could be Might Bite, who thrilled everyone when he ran as a novice last season. He really impressed and looks the type of horse to improve and mature with age, meaning there is a chance he will be even better this season, that puts him right in the frame for a Gold Cup victory. He has the stamina to win the race, his jumping is good aside from a couple of lazy errors he has made, and if he grows out of doing them he looks set to be a formidable force. That's why we believe he is one of the best horses running in Cheltenham Gold Cup 2018. The thing that many people will love about watching Might Bite race is that you never know what is coming next. Since he fell in a Grade One race at Kempton last season, people have questioned his jumping ability, but on the whole that is very good. He is prone to the odd mistake, but that is more to do with him being slightly lazy in front, and not due to bad jumping. Whatever happens this season, we are sure to see plenty of excitement when he runs. Plus, his Gold Cup latest odds are amazing! While Native River only finished third in the 2017 Gold Cup he ran a great race and much better than what many people think. He ran in the Gold Cup as an afterthought and had already had a hard season running in some tough races and is now our second Cheltenham Gold Cup favourite. At the start of the season, the Gold Cup wasn’t on the radar, but it became an option after he performed so well. This year it will be different, everything about his season will be focused around being 100% fit and ready for the Gold Cup, and that is going to make a difference to him we believe. He is a true stayer who loves the test that the Gold Cup brings, and anyone who is unable to stay the distance will be found out because he will ensure they go a good pace. He is also a great jumper and there are no worries about him taking a fall in the race. All in all he ticks a lot of the required boxes and is a very interesting horse for the race this season. While many other horses have question marks over them, Native River is a straight forward horse and he will arrive perfect on the day and ready to put up a good account in the big race. Plus, he is boasting exceptional Cheltenham Gold Cup 2018 odds. With so many brilliant horses heading towards the Gold Cup the stats show that every trainer has a chance of winning the race. No one really dominates the race, because there are so many in with a chance. The Irish have won three out of the last four Gold Cups, so keep an eye on their challengers. 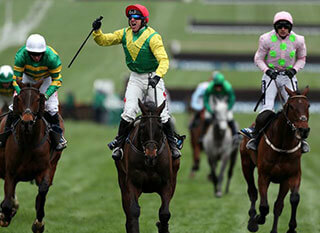 The Gold Cup is the feature race of the entire festival and one that everyone looks forward to. It is a true test of stamina, jumping ability and nerves as the best of the best all come together at the greatest racecourse in the world to take each other on in the greatest race. The race is for chasers and the age limit on the race is five year old and above. The race is over the distance of three miles, two and a half furlongs and this makes it a huge test for any horse, regardless of how good they are. Stay tuned for the 2018 Cheltenham Gold Cup results!